You lathered up a huge list of nominees, and we’ve shaved them down to find the top five. Now it’s time to find the winner. 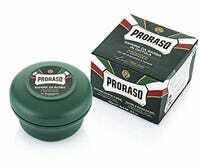 Proraso started in Italy in 1930 and is the #1 best-seller in shaving soaps 84 years later. If you’re focused on “natural” products, the “new formulation” removed the parabens present in the previous incarnation. Proraso has several other options beyond the original as well. Proraso is meant to be applied with a brush (though people do do it by hand). Shaving brushes are a whole other topic, but I’d tell you you don’t need to spend more than around 10 bucks for one. It’s unfortunate that Dr. Carver’s is only available with a razor plan from Dollar Shave Club, because a whole lot of you swore by it. Lifehacker has also evaluated the DSC razor plan. Barbasol has been around since 1919, and its iconic packaging has been the goto symbol for shaving cream. Its market share continues to grow, with some reports saying that 1 in 4 men use the product. It comes in several varieties, which were each argued for by different commenters. If The Art of Shaving didn’t get off the trend toward men treating themselves to better products, they were certainly one of the key players. Brush or brushless. I’ve been using this for the last 2 months. It - and perhaps using a brush - changed my face. No more pain and itchiness, no more bumps and cuts. I don’t know if the change is due to the cream or the brush, but whatever it is, I’m really glad I wandered into The Art of Shaving in the Mall of America. If you thought Barbasol preparing to celebrate its centennial was impressive, Taylor of Old Bond Street was established in 1854, and is the #1 best-seller in shaving creams on Amazon. Also available in other varieties.